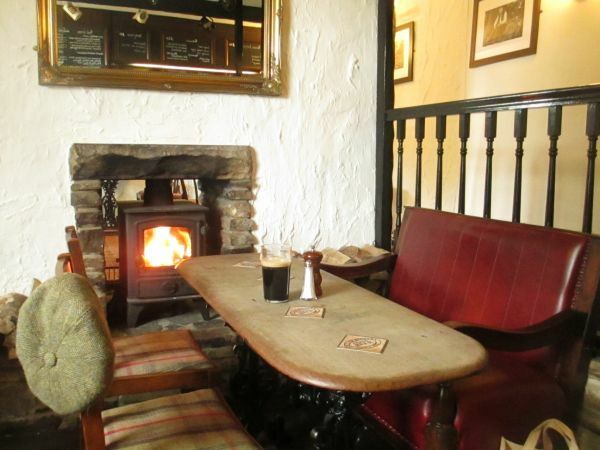 The pub is little changed, in 200 years with wood burning stoves in all the rooms, bare wooden tables and exposed stone work. 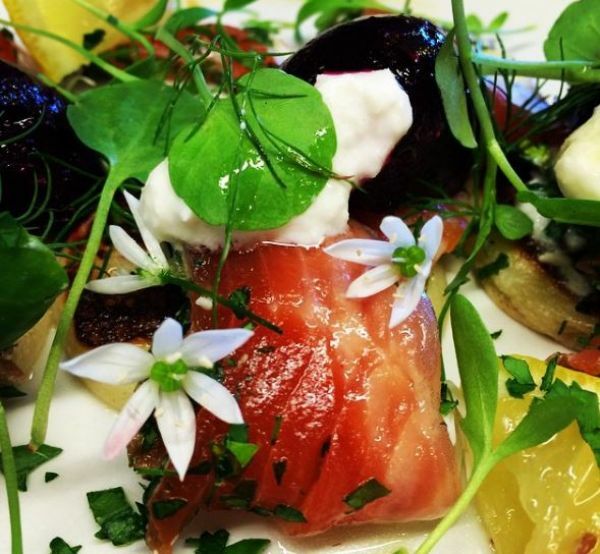 We combine an informal and relaxed style of dining with a kitchen team using ingredients foraged and farmed in the surrounding area to create a unique experience. Rhian and Helen celebrate ten years at the pub this year and the winning formula that has seen them win 36 awards during this time. We’re almost the most southerly point in Northumberland and you can see four counties from the pub; Cumbria and the lakes are to the west, Gateshead and then the metropolis that is Newcastle to the East (with the coast visible in the distance). County Durham is just south from here, only 18 miles to Durham city. Take a look at our map to see where we are, not far from anywhere! The Cheviot is 60 miles due north! 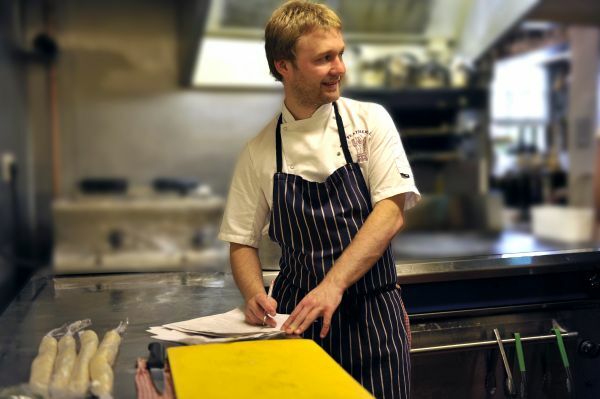 Rhian and his team create a daily changing menu maximising the local produce with in house butchery, charcuterie, preserving, smoking and butter churning. Fermenting beer to create vinegar and seeds to create rye and sour dough white breads. Working with local farmers and taking whole beasts straight from the abattoir allows them to use the lesser known cuts, many glorious dishes using offal, everything is skilfully crafted into delicious and satisfying feasts. Game comes straight from the shoot, with the skinning and plucking carried out by our team. Traditional and long forgotten recipes are recreated and skills are taught to a new generation of chefs. 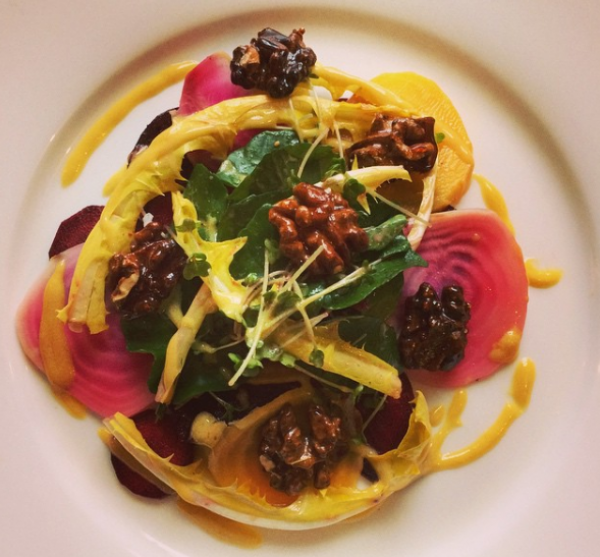 With a seasonally changing wine list all selected to pair with the food offerings as well as an extensive whisky range, perfectly kept cask ales, the drinker is as welcome as the diner. We have spent the last ten years working tirelessly to create the ideal county pub. There are a couple of steps up into the pub from the front entrance. Access after these is easier to the left hand bar. Toilets are up a couple more steps from this bar. Access to the toilets from the rear entrance (and car park) is on the flat and from here access to a third dining room is down one step. Customers can park in either the front or rear car park, both only yards from the door. Also customers with limited mobility can also park immediately outside the front door of the pub whilst not blocking the entrance. From the A695, which runs parallel with the A69 from Newcastle to Hexham, take New Ridley Road south out of Stocksfield. This t turn is opposite the Chemist shop in Stockfield. After a mile or so take the left turn up the hill and you’ll hit Hedley on the Hill, where you can’t miss The Feathers. From the south its best to take the A68 and turn off for Stocksfield and New Ridley (Lead Road) opposite a turn for Slaley. Continue on and across the next junction (B6309). After going through New Ridley, take the next right after the Golf club up to Hedley on the hill. The website includes a map showing where we are in relation to different locations in the region. There is no public transport to the village but Stocksfield has good bus and train links and is only 2 miles away. Local taxis can be booked to bring you up to the pub unless you want to walk up one of the many footpaths to Hedley. As the name suggests, it is up hill and of course the return is all down hill! Had read good thing's about this place and visited for lunch. Fabulous! The welcome was relaxed but warm. Food delicious. Will definitely visit again. 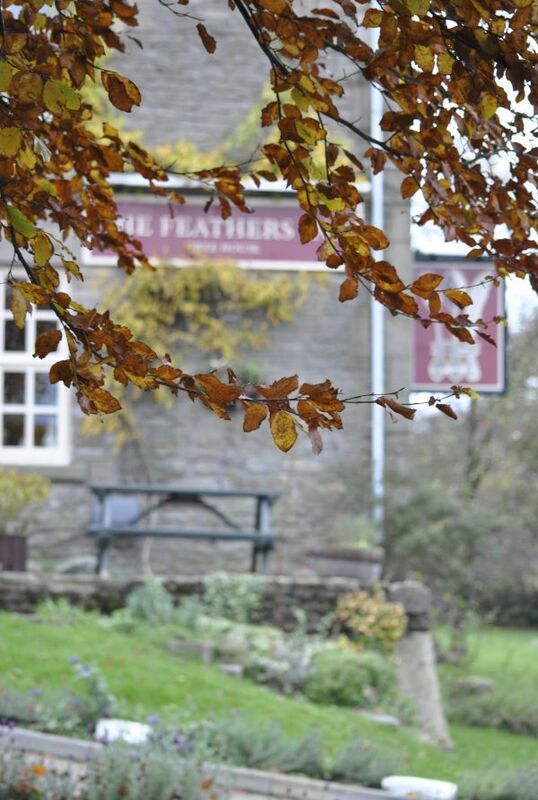 The Feathers is in a lovely rural setting, with great views and plenty of off-street parking. There are great quirky touches throughout and we particularly liked the old cookery book menu holders and the scrabble letters marking ‘reserved’ tables! 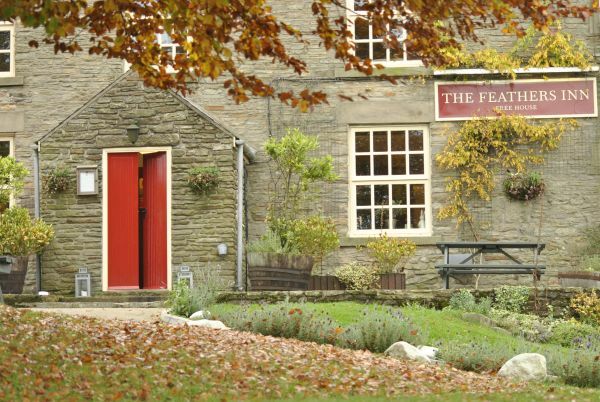 We had the 3 course menu, which was very reasonably priced and enjoyed seasonal produce, cooked perfectly by very welcoming staff - it’s clear to see why this pub has won so many awards! Hadn't been for a little while who decided to visit for evening meal. 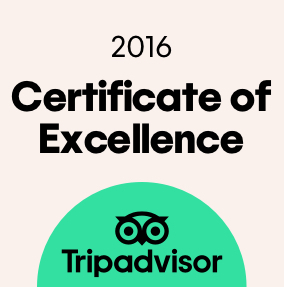 Was not disappointed food excellent lovely chilled atmosphere staff and service pleasant. Will certainly not leave it as long next time. 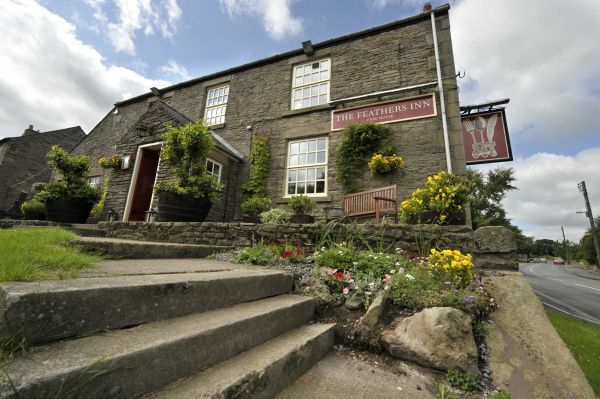 You will not find a better pub for food than this in the north east. No wonder it wins so many awards. A lovely setting with excellent food and service. Local produce beautifully cooked. A rarity these days but huge portions. Service is attentive without being intrusive. A real gem and well worth the trip. Can be quite hard to find so be warned!